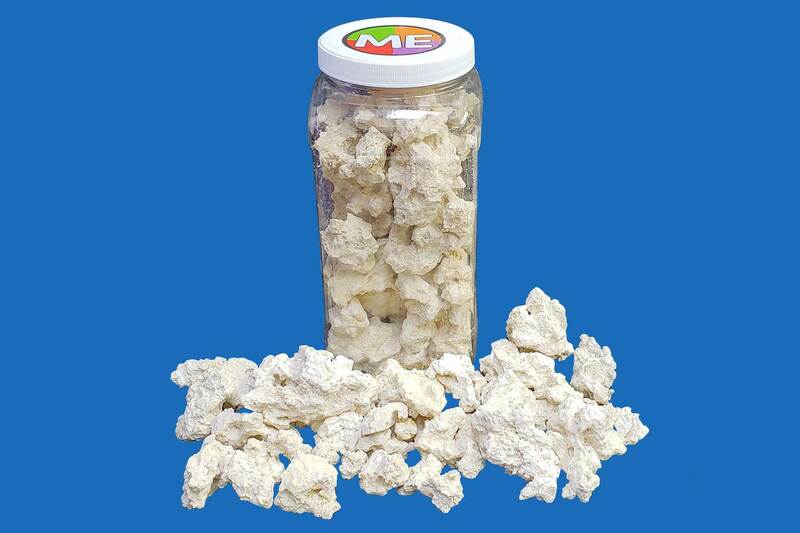 ME Coral Rubble Rock is an outstanding choice for our aqauriums. Our rock does not come from the reef so as not to disrupt our eco system. It is Florida dry Oolitic rock which comes from coral that died many years ago now buried underground. We pressure clean the rock, then bleach, and then remove the bleach chemically. Providing the cleanest rock in the industry. 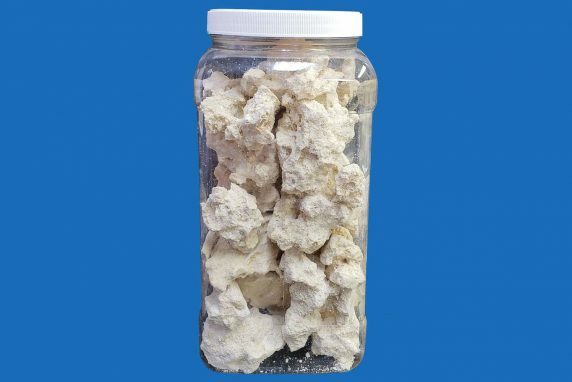 Rubble comes in an ez grip 1 gallon clear plastic container. Works great for mounting frags or larger corals, as well as for refugium rock for added filtration. Rubble rock are about lime size on average, some could be anywhere between marble size to tennis ball size. Aprox wt 6-7 lbs. Using ME Rock guarantees unwanted hitchhikers will not enter our tank, which is commonplace with live rock. Having no detrimental and difficult-to-remove aiptasia and majano anemones, fire worms, flatworms, mantis shrimp and pyramidellid snails in our aquarium is a huge advantage that will reduce stress during the life of our tank. Eventhough the rock is very clean, We recommend curing rock before being used in an established system.